The Writing Factor: Yesterday I wrote about the cool stuff of Venom and Song. Today I want to talk about the writing. First, I thought Wayne Thomas Batson and Christopher Hopper did a great job capturing the tone and language of their teenage characters. They also gave colorful descriptions of Allyra. From the caverns of Nightwash to Whitehall where the teenage elves trained, I felt like I could see everything. And action. Lots and lots of action :). This is not a slow paced book. Between escaping warspiders, sliding down zip lines through the forest, training in the danger room and fighting a war, there was no time to sit and sip tea for these teenage elven lords (yes, that was a pun for anyone who finished the book lol). Here is my one problem with the writing: there were so many characters I was trying to follow that I was never able to engage in the story. I think the story would have been stronger if it had been told from the point of view of one, two, or maybe three characters. Instead, I was constantly jumping around between the seven main characters along with a couple of the minor characters. There were too many heads for me to follow. Like I said above, this book is filled with a lot of action. Action is good. You don’t want to hear the story of a well-written character that cleans the lint of his toes while he contemplates the universe. But action doesn’t mean a lot to me unless I care about the characters first and what happens to them. And because I was constantly jumping around between all the characters, I wasn’t able to connect with any of the characters. I was never given enough time with one character to build that connection. That is the one thing I wish differently about the book. I believe the story would have been stronger told from just one of the teenagers. But that’s just my opinion :). Tune in tomorrow where I will take a look at the Spiritual Factor of Venom and Song. As part of the CSFF Blog Tour this month, I had the privilege of reading Venom and Song by Wayne Thomas Batson and Christopher Hopper. I have broken my review down into three parts: The Cool Factor, The Writing Factor, and The Spiritual Factor. Today I will be looking at what is absolutely cool about this book (after all, you can’t have a science fiction or fantasy book without having cool stuff :)). So let’s get on with it! The Cool Factor: Venom and Song is the second book in the Berinfell Prophecies. We follow seven teenagers who find out they are not humans but really elves living in our world. And not only are they elves, but they are the seven lords of the elves. The first book in the series (Curse of the Spider King) ends with these elves escaping our world through a portal back to their own world of Allyra. Venom and Song is the continuing story about these young lord and lady elves as they discover their new world and how to control their powers. Cool Factor here: not only are they elves, they have some amazing abilities! Foresight, strength and healing, air walking, speed (like super fast), marksmanship, thought reading (aka mind reading), and fire. One part of the book I really liked is when the seven teenagers… err… elves are learning how to use their powers together as a team. Imagine the Danger Room for the X-Men elf style :). This book is a fast-paced, action packed story for young adults (or those young at heart). Tune in tomorrow for a look at the Writing Factor. Until then, check out these other participants of the CSFF Blog Tour to see what they are saying about Venom and Song. I had a nice happy bunny-fluffy kind of post ready for today. But as I sat down to write this post, I felt bruised, tired, and exhausted inside. I felt like I had worked out in God’s gym this week. It began with an email that left me feeling as though I had gone through a hurricane. Ever had one of those? But through the torrent of emotions, God spoke to me. And he reminded me that nothing catches him by surprise, including this email. He would take care of it; my job was to love this person. After years of doing this particular rep on the “dumbbell”, it didn’t take me long to turn it over to God and pray for this person. Then I locked myself out of my house not once, but twice on the same day. That was actually kind of funny. Its like tripping on the mat on my way over to do my power sweeps. Ah, power sweeps. Anyone who has ever lifted weights knows the power sweeps. Guess what? I hate them! Back when my version of lifting weights was actually lifting weights (opposed to now which is lifting kids, dogs and boxes of things I need to unpack) the dumbbell would leave bruises along my hipbones because unlike men, I have hips and the dumbbell would catch on its way up. Yeah, ouch! My power sweeps this week were a broken washing machine and a husband with a pulled muscle in his back. Bad, bad, bad! If I miss one day of laundry, it multiplies like bunnies and the next morning I find the laundry has made its way out of the hamper, eager to take over the rest of the house. So as I sat down to write my happy post, I could think of nothing to say. All I felt was exhausted. I prayed for God to show me something to say. Then I felt God tell me to share my week. Because we all have those kinds of weeks. A week where it feels like we are working out in God’s gym. But you know the good thing about working out in God’s gym? Its good for us! Our faith muscles grow stronger. Last week I shared my thoughts on true beauty. This week I would like to share how I put that into practice. I love to make New Years Resolutions. I may not keep them for long, but the thought of pursuing a goal for an entire year appeals to a checklist person like me :). As I approached the year 2007, I was physically a different person. I had given birth to twins that summer (6lbs, 3oz and 8lbs, 2oz) and let me tell you, having that much baby changes a woman forever! As you can imagine, the types of resolutions I considered that year were diets, exercise, any method I could follow to get my body back to what it was. Then God spoke. When he speaks, I have learned you better listen up! That sobered me up. And I came up with my New Year’s resolution. I chose for an entire year not to criticize the way I looked. Every time I looked in the mirror and wanted to find fault, I stopped. That was not allowed. Instead I would look at myself and see what God had made. I also hid the scale. I was not allowed to weigh myself. Too many times I would become obsessed with numbers. Instead, I chose to be fine with my new mommy body. And lastly, I threw out my pre-pregnancy clothes (I think every woman has a box of them hiding in her closet, hoping one day she might fit them again). They were my past, not my present. I needed to move on. And my friends, it worked! After about six months, I found I no longer looked in the mirror and found fault. All I found was Morgan. I was not tied to the digital number that registered down at my feet. And I went and bought clothes that fit me right now. That New Year’s resolution changed my life. I learned that a mommy body was okay. I learned that what I was on the inside mattered more than what I was on the outside. I learned to like the person God had made me. This is a post I wrote a couple years ago, shortly after I had the twins. I’m revisiting this because lately I’ve been struggling with my outer appearance (yes, I actually do sometimes) and it helped to reread something I wrote years ago. Hopefully you will find it encouraging too. So since we really can’t change what we look like on the outside, we should start investing in that which we can change: our inside. Anyone woman can do it. It doesn’t require a lot of money. Just time with God, time in the Bible, and a change in our perspective of what true beauty is. Now don’t start throwing out your curling iron or mascara. It’s okay to make yourself look nice (I love to look nice for my husband). But consider how much time you are investing in your outer appearance and your inner self. One is going to fade, nothing can really stop that. But the other will last to the day you die. Not everyone can be a super model, but every woman has the opportunity to be the most beautiful woman on the inside. It’s not hard to realize which one is worth investing in more, is it? First of all, for those of you who follow my blog and know that I only blog on Fridays, you may be wondering why I’m blogging on Monday. Today is my first day with the CSFF Blog Tour (no, not Christians Saving Furry Friends although I’d probably be all over that :p). It’s the Christian Science Fiction and Fantasy Tour! Usually as part of the blog tour, I would read one of latest Christian speculative novels out, then review it along with my colleagues on each of our blogs. But this month is a bit different. We have been asked to share our favorite Christian speculative novel or author. So I’m going to share the ones that ignited my love for Fantasy: C.S. Lewis and J.R.R. Tolkien. Yep, oldies but goodies. My dad first introduced me to fantasy with The Hobbit. I loved it! Thirteen dwarves, one hobbit, and one wizard on a wild journey to the Lonely Mountain (just writing that makes me want to go read it again :)). Its book filled with dragons, larger than life spiders, trolls and orcs. My second exposure to fantasy was C.S. Lewis’s Chronicles of Narnia. My mom began reading The Lion, the Witch, and the Wardrobe to my family when I was in second grade. I’ll never forget finding the book the next day, hiding in a corner of my room and finishing it. Then reading the next one and the next one and the next one :). My last favorite is one rarely read. The Silmarillion. It’s basically a history textbook for all of Tolkien’s world. For those who have not read it, you’re missing out. One of the best fantasy romances (in my opinion) lays hidden within its pages. The story of Beren and Lúthien. Want to find more Christian Speculative novels? Check out the links below. Each of these people will be sharing their favorites. Maybe you’ll find a new one too! One more thing. The Clive Staples Award voting will be coming to a close this week. Some of you might be going what? 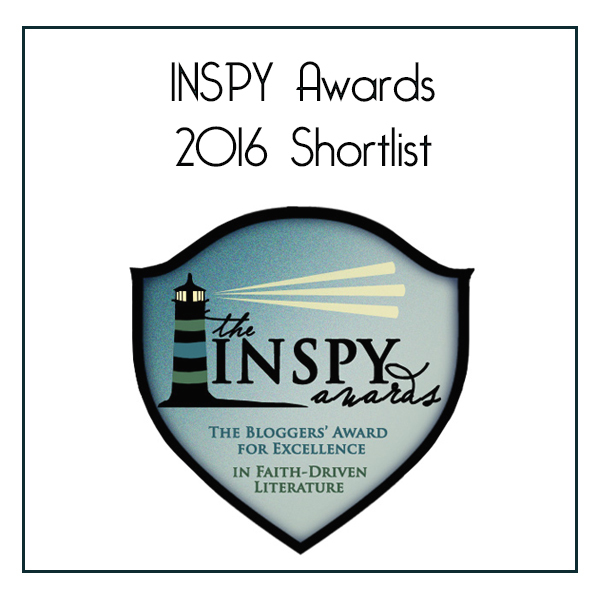 It is an award recognizing Christian Speculative writing excellence. To find out more, click here: http://clivestaplesaward.wordpress.com/2010/08/02/2010-clive-staples-award-voting/.